If you’ve ever enjoyed a cup of Earl Grey tea, you’ve enjoyed the lovely scent and flavor of bergamot. One of the most popular teas in the world, Earl Grey owes its unique fragrance to the oil, which is also used in perfumes and cosmetics. Extracted from the rind of the bergamot orange (Citrus bergamia), bergamot has a reputation for being calming and soothing. Frequently used in aromatherapy and in massage therapy, it’s said to help calm and promote restful sleep. It may be hard to believe that oil from what is essentially an orange could do that, but this is a unique fruit. Though called an orange, it’s not the same as the oranges we’re used to. It’s about the same size, but has a more yellowish color, and is shaped more like a pear. It’s named after a town in Lombardy, Italy—“Bergamum”—and comes from a small evergreen tree that blossoms in the winter. The bergamot orange is related to the so-called “sweet lemon,” (Citrus limetta), but is not exactly the same, and has an even bitterer taste. The properties of this particular variety are very unique, however, with some active ingredients recently discovered that may hold particularly exciting benefits. 1. No one knows for sure how it came to be added to tea. There are a few stories as to how Earl Grey tea came about. All seem to share the idea that the original mixture was of black China tea with a tincture of citrus oil from the bergamot orange. One says that the British Prime Minister Charles Grey introduced the tea to friends and Queen Victoria. Another goes that a Chinese mandarin presented the Earl with the tea to mask the taste of lime in the local water supply. Still another says that the tea was sent by a Chinese official to Charles Gray as a thank you gift for saving his son. Researchers have doubts that there was any connection between the Earl and the tea. Instead, the more probable origin may have come from tea makers who used the oil to make their inferior teas seem more fancy, and thus charged a higher price. Yet another theory is that William Grey, a London tea merchant, was the true originator of the tea. However it got its start, the tea is hugely popular today, and has spawned other varieties, such as Lady Grey tea, which includes lemon and Seville orange in addition to bergamot. 2. The name may come from a Turkish word. Though the standard story is that bergamot was named after the Italian town, a French company who makes Bergamots of Nancy candies (which have been around for centuries) states that the word comes from the Turkish “beg-armade,” meaning “Lord’s pear.” Remember when we said the fruit was sort of pear shaped? 3. It can help you stay calm. Feeling worried? Stressed? Bergamot may be your solution. Sure, there are many oils that can help you relax. But bergamot may be particularly good at it. 4. May help to reduce the appearance of age spots. Bergamot is known to help reduce the look of dark spots, discoloration and splotching. It's a go-to herb for evening skin tone. 5. It can get rid of lice. If you have kids, you may have gone through a lice outbreak. Head lice can be a real nuisance in schools, and though it hasn’t been shown to spread disease, it can be a bear to get rid of. 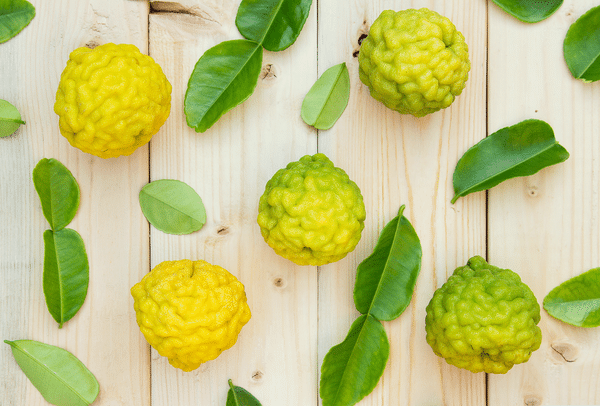 Would you believe that bergamot may be helpful? Along with other oils like peppermint, eucalyptus, anise, tea tree, and lavender, it can help repel not only lice, but also other irritating pests like ticks and mosquitoes. Mix the essential oils in with the shampoo for natural lice treatments. Do you have other uses for bergamot? Please share with us. Do not use Bergamot on skin that will be exposed to the sun, for 72 hours after application. I always learn something new here! I drink Earl Grey from time to time. I’m more of a coffee or green tea drinker. But the history is fascinating. And I’m even more fascinated to know that the oil can be helpful with the reduction of the appearance of scars and hair growth! (and lice, but hoping I never have to deal with that.) Thanks for an informative post. Is Bergamot in any of the Annmarie Gianni products?